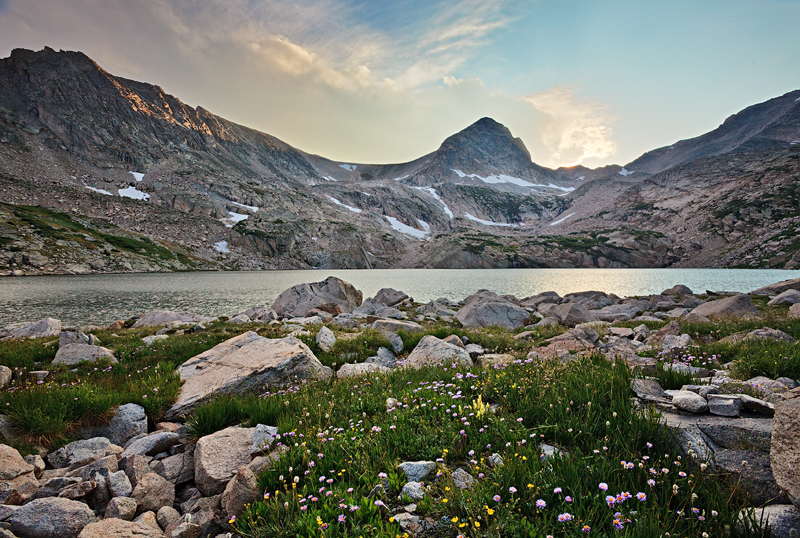 Blue Lake is a spectcular lake high in the Indian Peaks Wilderness. Mount Toll looms behind, while summer flowers fill out the foreground. Photo © copyright by Stan Rose.